Posted on July 19, 2015 by Kaylie W.
Best known for his haunting dystopian classics, George Orwell was an extremely influential British author, capable of expressing his powerful political views through his writing. 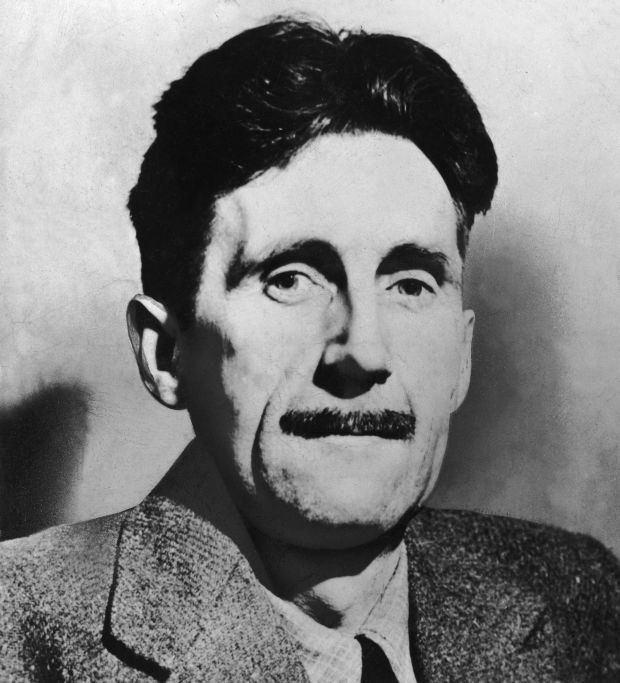 Living in England from 1903 to 1950, during an era where the rise of totalitarianism was prominent, Orwell’s numerous works brought awareness to social injustice and offered a unique political perspective during a disturbed, chaotic time. Through literary criticism, poetry, fiction, and journalism, he conveyed his opposition to Nazism in Germany, fascism in Italy, and Stalinism in Russia, as well as expressed his outspoken support for democratic socialism. One of his best known works is the novel Nineteen Eighty-Four, which is set in the future world of Oceania that is occupied by perpetual war. Extreme public manipulation and omnipresent government supervision is utilized to prevent individualism and any form of independent thinking. Society is separated into the privileged and controlling Inner Party elite, the Outer Party, and the “proles,” the lowest class. The novel follows Winston Smith, whose job focuses on propaganda and rewriting history so that everything meets the Party’s needs. Although compliant and skillful in his work, Winston secretly hates the Party and dreams of rebelling against Big Brother, the supposed Party leader and epitome of tyranny. 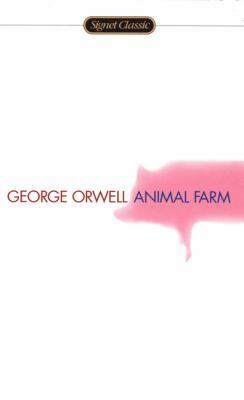 Orwell’s second well-known work is the allegorical novella Animal Farm, which parallels the events leading up to the Russian Revolution of 1917 and the beginning of the Stalinist era in the Soviet Union. The novella tells the story of the mistreated animals of Manor Farm, who overthrow their master Mr. Jones and take over the farm. Initially, the animals imagine a life of freedom and equality, but eventually, the cunning and ruthless rebels, led by the pigs Napoleon and Snowball, start to take control. Suddenly, the animals discover that their world of equality is virtually impossible, as they find themselves trapped as one form of tyranny is replaced by another. In both of these works, Orwell compares his characters to real political figures in history. For example, in Nineteen Eighty-Four, Big Brother represents Stalin. In Animal Farm, Mr. Jones represents Tsar Nicholas in Russia before he is overthrown and the pigs Napoleon and Snowball symbolize Stalin and Trotsky. I especially love Orwell’s writing, as it is chilling and insightful, yet simple and easy to understand. Incredibly influential, Orwell’s works continues to shape popular and political culture, and the term “Orwellian” is still used to describe totalitarian practices, with terms such as Big Brother, thoughtcrime, and Though Police. Even if you are not a big fan of politics, like me, I encourage you to read at least one of Orwell’s works during your lifetime, as it will make you question the world we live in and imagine what we could be living like today, if the forces of democracy had not triumphed over authoritarianism. The works of George Orwell, and those mentioned in this article, are available to check out from the Mission Viejo Public Library, Overdrive, and Axis360.